Adobe Systems was forced to rush the release of a Flash Player update after an exploit for a previously unknown vulnerability was leaked on the Internet and quickly adopted by cybercriminals. Users are advised to upgrade to the newly released Flash Player 18.0.0.203 for Windows and Mac, Flash Player 11.2.202.481 for Linux, or Flash Player 13.0.0.302, if they're on the extended support channel. The Flash Player plug-in bundled with Google Chrome and Internet Explorer on Windows 8.x will be automatically updated. The company also released version 18.0.0.180 of the AIR runtime, AIR SDK and AIR SDK & Compiler, because these products also bundle Flash Player. The new updates fix a total of 36 vulnerabilities, 17 of which could lead to remote code execution. The most important of the patched flaws is called CVE-2015-5119 and has been publicly known since Tuesday, when security researchers found an exploit for it among corporate files leaked from a surveillance software developer called Hacking Team. The exploit was likely used by Hacking Team's customers, who are mostly government agencies, to silently install the company's surveillance software on their targets' computers. Security vendor Trend Micro found evidence that the exploit was used in targeted attacks against users in South Korea and Japan at the end of June and beginning of July. Since these attacks happened before the exploit was leaked publicly, it's likely that they were launched by someone with access to Hacking Team's tools, such as one of the company's customers. After the public leak it took cybercriminals only a day to integrate the exploit into large-scale attack tools, significantly raising the risk for regular Internet users. 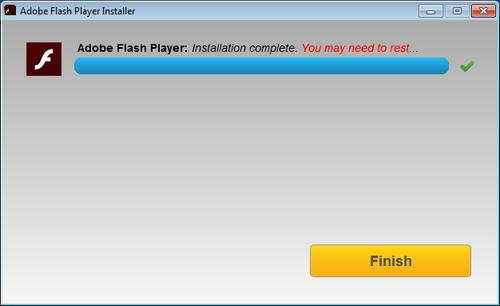 Because of that, everyone should install the new Flash Player updates as soon as possible.